Order only the forms you need for filing!Popular format is ideal for reporting mortgage interest. Meets all government and IRS filing requirements. Save time! Pre-sealed confidential envelope with recipient's copy enclosed makes it easy. 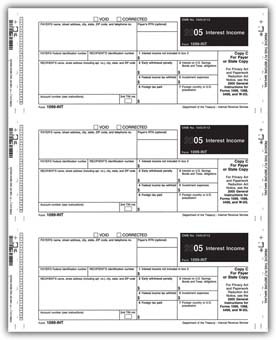 Just print, stamp and mail!Popular format is ideal for reporting interest income. Meets all government and IRS filing requirements. Popular format is ideal for reporting taxable distributions received from cooperatives.Meets all government and IRS filing requirements. Popular format is ideal for reporting interest income.Meets all government and IRS filing requirements. Popular format is ideal for reporting various government payments.Meets all government and IRS filing requirements. 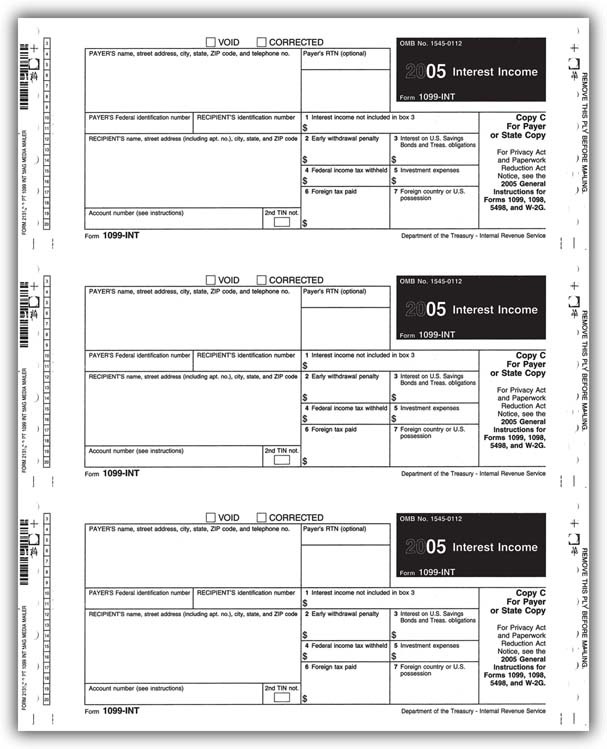 Order only the forms you need for filing!Meets all government and IRS filing requirements.